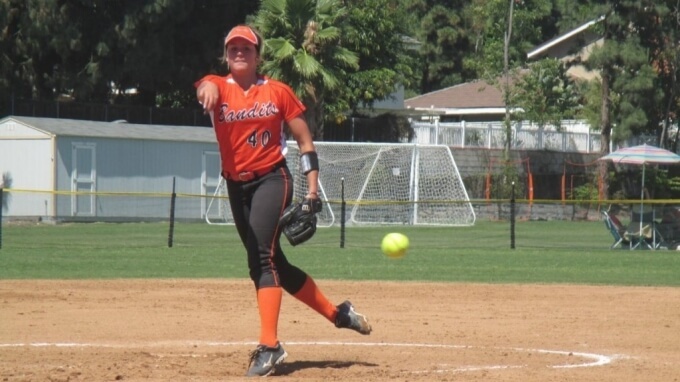 Miranda Elish, the #1 ranked player for the Class of 2016 as selected by Brentt Eads, seen here pitching for the Beverly Bandits. The first round of the 2023 Extra Elite 100 and the lists for 101-200 and 201-300 are in the books and, as inevitably happens, we get the follow-up questions asking how the player rankings are done. Here is the Why, How & When answers plus our responses to "Frequently Asked Questions About the Extra Elite 100 Lists." “I am reading the top 100 for 2023, and obviously they all have a ways to go in development, but I wondered how you were sorting out the list? Is it by a group of coaches around the country? Paid memberships? Quantity of entries? Financial contributions? Player actual performance and stats?" Good questions and, as we’re transparent with the process, feel it would be a good idea to explain how the players are chosen and, even before that, how they get nominated and recommended to us. And, no, student-athletes who make the list have nothing to do with our site memberships or financial contributions. That obviously, that would be “buying” a place in the list and would ruin the integrity of what we’re trying to do! Why Player Rankings In the First Place? To understand how they’re done it’d be helpful to explain why they’re done. These players work so hard and don’t get the attention the boys sports receive—especially football and boy’s basketball—when they put in equal (or more) time, travel and effort to perfect their skills. And to let them know that their efforts are appreciated. 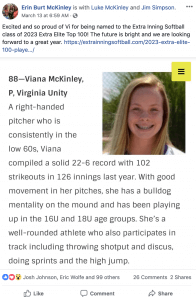 Keagan Rothrock made the Top 5 of the 2023 Extra Elite 100. Yes, it can be a way for a player to feel respected, but also a motivational tool to keep working hard and to either make the list or to advance higher up the rankings. How do you choose the top 100, or 200 or 500 players in a class? How do we compare shortstops in Southern California to pitchers in Florida to outfielders in Illinois? It’s an inexact science, for sure, and is in many ways an “apples to oranges” comparison. 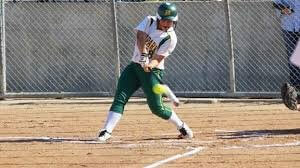 Amanda Lorenz gets a hit for Moorpark (California) High. We recognize this and past #1’s have covered every position from infielders like Jenna Lilley (2014, Oregon) and Bri Perez (2017, UCLA) to outfielders like Amanda Lorenz (2015, Florida) to pitchers such as Miranda Elish (2016, Texas) and Megan Faraimo (2018, UCLA). There are always going to be updates to rankings, which I’ve done from the Classes of 2014 through 2023 (10 years of classes) and have updated some classes as many as four times. This is important because these lists are never truly done until a class graduates and after that we can see how the players do as they go to college. The 2023 class, for example, will be updated four or five more times before the class hits college campuses officially! That means there will be a lot of updates as players move up, down, in and out of the lists. What Criteria Is Used in Rankings? What weighs in our decision as to how players are rated? "Successful performances" doesn't mean gaudy stat numbers, however. When we compile a bio on a player we will print stats to give background and context, but know that statistics may or may not give an accurate picture of a player’s talent based on where they were achieved in high school and/or travel ball. 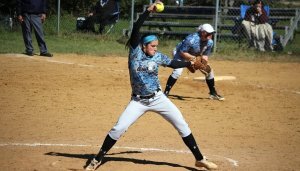 Great pitching numbers, for example, achieved at nationals such as PGF 18U Premier or at an event like Boulder IDT will likely carry more weight than big numbers in private high school games, but stats are part of telling the story so we include them. So how do you even begin to rank a class? It’s easier if we’ve already done Extra Elite 100 rankings for a class already—it’s simply checking to see if the players who made it before are deserving of where they are. Multiple times players have dropped--even from the #1 spot-- because of injury or because a player just becomes so dominant and moves ahead of them. Maggie Balint went from not ranked to Top 5 after exploding at Boulder IDT one year. Usually, however, it’s a case of confirming who’s in the rankings and who isn’t, but should be. The way this is done is the same way we start a class from the ground-up, as was done with the 2023 class. 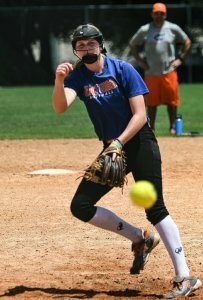 we at Extra Inning Softball and our network of correspondents across the country see athletes at tournaments, showcases, nationals, combines, games… anywhere they can be seen in person and evaluated on the field to help us do our own evaluations. information is gathered from club and high school coaches who work with the players through the year and get to know them in practice, in games and, very importantly, off the field to gauge their work habits, character, intangibles, etc. college scouts are brought in to provide their perspective and, similar to the club/high school coaches, provide feedback and insights on a player’s current abilities and projected level of where they will end up. That gives us a huge starting point and we then “massage” the list and fine-tune it by doing more outreach and research until we get the rankings into an order. We then create bios, gather photos and then publish the lists. If only it were just that easy, though… it’s usually a 6-to-8 week process from the start of pulling everything together until the lists are published. Who Decides Where A Player is Ranked? Parents, Take Note Here! I’ve seen one disturbing trend that it’s important to address that hasn’t been an issue in previous years and it has to do with how we rank a player. 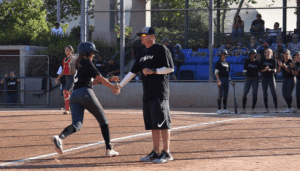 Players like Rylee Holtorf, the #1 ranked player in the 2021 class, get there as decided by Extra Inning staff... not her Arizona Storm coaches! As noted above, club coaches provide input which is evaluated by us, but let’s be very clear on this point: club coaches nominate players and provide stats, honors, recommendations, scouting reports, and their opinions as part of the research process, but they DON’T decide where an athlete is placed in the rankings! Coaches’ opinions are heard, but we have a system of “checks and balances” where we have feedback from a lot of input from people who provide a consensus of who makes the list. One voice alone isn’t going to put a player in a ranking slot and that would be unfair on the person submitting the information anyways. We’ve heard of several cases this year where, if the athlete wasn’t included or ranked high enough in the parents’ opinion, then the coach received an earful from the upset parents and that’s unfair to the coach because he isn’t the one making the rating decisions—we are. 1. How are athletes ranked? 2. Can players and parents send in info? Yes, send us all the info you want, including photos. We collect and save the info—and are always looking for interesting stories too. If a player is chosen for the Extra Elite 100, we often will use the background info and certainly the photos for the bios. 3. When should information be sent in? You can send in player information whenever you’d like, we will store it in digital folders and access when needed. For example, we’ve had a couple people ask: “Can can send in Class of 2022 or 2024 info now?” The answer is yes, send in anytime. 4. What are the qualifications? My daughter wasn’t included… Why not? How can we get our players evaluated? Variations of these questions are very common; if a deserving player or players weren’t included, the answer is probably they fell through the cracks somehow… it happens, especially with first-time rankings and with younger age rankings. Don’t despair, however, we are, as noted above, constantly updating previous lists. If your organization wasn’t represented for some reason, feel free to write us with suggestions on players or coaches who we should reach out to or, better yet, have them reach out to us. 5. What Extra Elite 100 class will be next? How can we know what’s coming up? The Class of 2022 is tentatively scheduled for May, but we always let you know what coming up next. Keep following the site and you’ll get a heads-up three or four weeks before the rankings begin. For example, on February 21 we posted 3 ½ weeks in advance: Breaking News: 2023 Extra Elite 100 Player Rankings to Begin March 11, 2019! This will give players, parents and coaches notice on when to send in information and the deadline to do so. 6. Is it OK to copy a player’s ranking write-up and put on Facebook or Twitter? This one is tricky and, admittedly, has been a problem. If you want to do one player on your Facebook page, OK. If you want to copy a block of text and paste somewhere, no! This is an allowable copy of the Extra Elite 100 text. We’ve seen college sites literally copy the text of every player for their class and post on their site or in their message boards. That’s stealing of proprietary content and violates copywrite laws—please don’t do it and if you see it out there let us know. Here’s our “official” statement on this: These rankings, including the lists and bios, are proprietary and are not to be copied off this website and published on any other website or social media platform without the expressed written consent of Extra Inning Softball per U.S. copyright laws. A screenshot of an individual bio may be published on an individual social media page if there is a connection to the player and the usage is one-time only. 7. Where do we send the info to? And how do you prefer it? 8. Will a box of donuts influence your decision? Thanks for the offer, but no. Plus our significant others disprove of our increasing waistlines. But “thank you’s” are always welcome as are good story ideas. We love being able to tell the stories of these athletes, especially the inspiring ones. As our motto says, “We exist to grow the game” and hope you will be a part of our efforts to do so too!